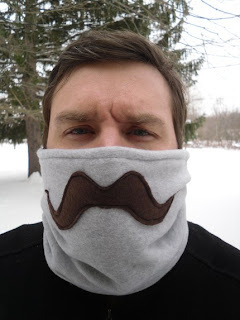 Here's a cold-weather twist on the fake-moustache meme. Is there a more ridiculous way to embarrass your friends and offspring while keeping your face warm? Probably, but I can't think of one right now. Here's the post - about a similar item. From last March. Awesome beard hats!